"I’m taking it all in", said director Sandberg about the comic book history behind "Shazam!" 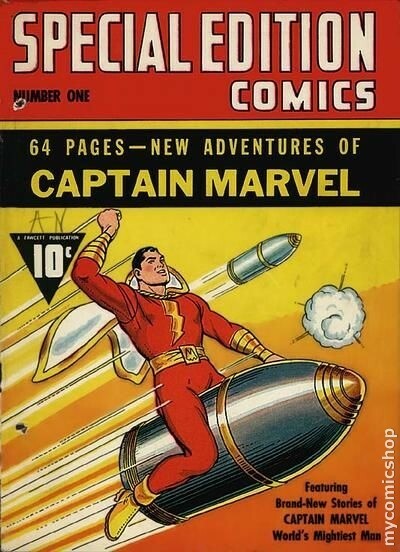 "Some of those really old ones are quite fun. 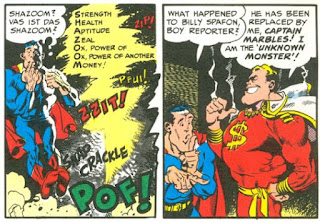 He's been around since the 40's for, like, as long as 'Superman'. "So there’s a lot to read and that's also interesting because he sort of has a couple of different origin stories or a couple of different takes on it. "There’ve been variations of the script, like before I came along. 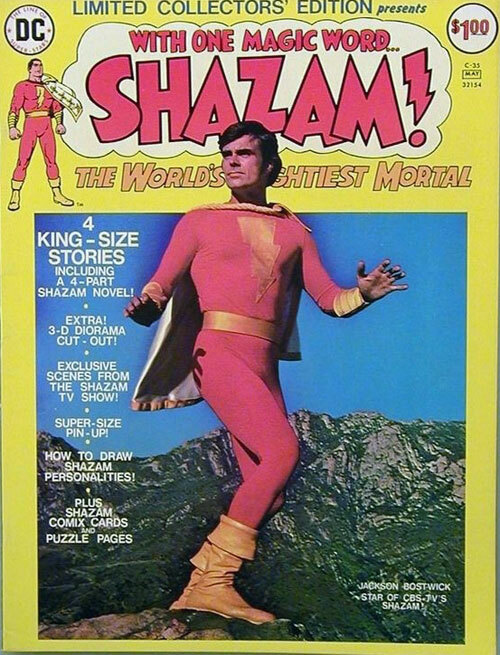 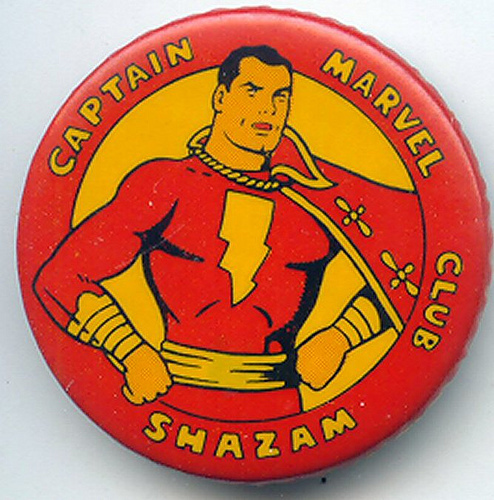 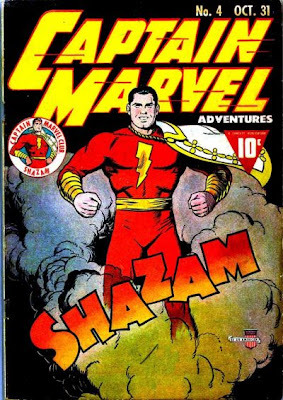 But now, this is about Shazam..."
...created by writer Bill Parker and illustrator C.C. Beck, whose art team also included "Captain America" co-creator Jack Kirby. 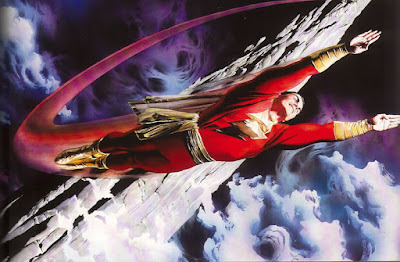 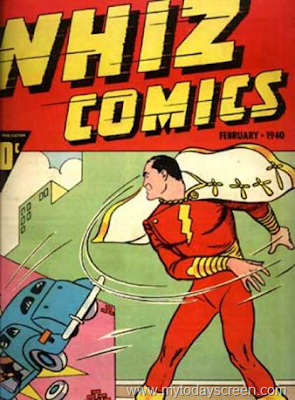 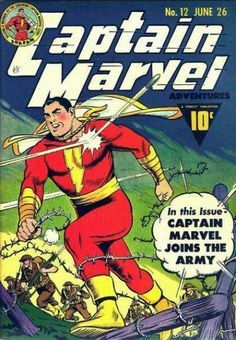 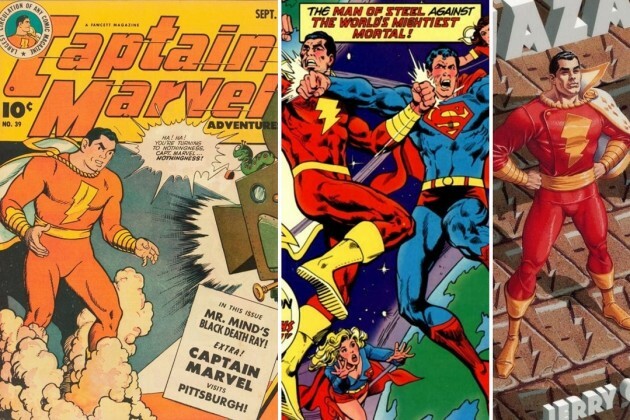 "Captain Marvel"-themed comic books eventually outsold the biggest comic book competitor of the day, Detective Comics' (DC's) "Superman" by 14 million copies a month. 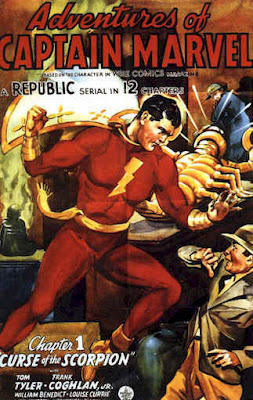 ...and a violent feature film 'serial' for Republic Pictures, (1941) noted as the very first big screen, 'superhero' movie, with 'Captain Marvel' killing enemies with gusto.